WELCOME TO BEYOND BOOK CLUB! You are ready to take your Book Club to the next level, so check out the sessions and events available now. Don’t forget to get on the list for first priority registration on all BBC sessions! BBC “Holiday Lite.” A four week session, with this simple yet epic text to get you through your holiday season! Are you ready to make the leap from your comfort zone into the unknown realm of genius? When you are the universe conspires to help you. 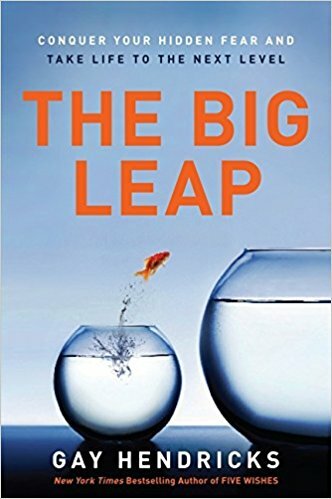 The Big Leap is one of Katie’s all time favorite and most helpful personal development books! Through actionable exercises and tools, Gay Hendricks masterfully helps us reprogram ourselves, letting go of old fears and shifting the focus of your creativity and your drive to what you are uniquely gifted at. 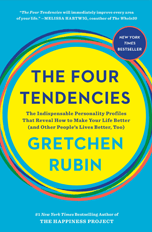 Discover your four “operating zones” and recognize when your upper-limiting” (i.e. getting in your own way) of your success. SO many great themes, this book is truly is a game-changer. $200 for 6 sessions, includes book. Join us for an 6-session, small group “masterclass” experience to help you conquer your hidden fear and take life to the next level. This is one of Katie’s TOP books and one she’s been dying to lead for Beyond Book Club for years. In the Intensive, you’ll have the opportunity to dive even deeper into the concepts and exercises of this life-changing book with your intimate intimate group and fellow participants. This Intensive Workshop will provide the tools you need to reveal your purpose in life and help activate it in a tangible way. -What’s your Zone of Genius? -Do you have an Upper Limit Problem? -How can we embrace “Einstein Time” to be hella more productive and less stressed? We’ll learn about these and many more mind-blowing concepts in our time together. But most importantly, we’ll learn how to apply these to your life, your purpose, what’s been getting in your way in order to take action to make real changes. Drop your kids, grab a coffee on the way and meet in this beautiful, quiet, grounding space for an hour + of dedicated “me” time, reflection and personal growth. This group is for women who are ready to go deep, and take things to another level through the supportive guidance of an experienced coach (Katie), an important text and the supportive energy of like-minded women who are ready to be vulnerable and grow. 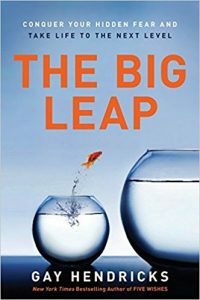 Treat yourself to an up-leveled personal development experience that is sure to end your 2018 on a high note and prime you for your Big Leap in the new year! Change your overall perspective, so you can embrace a philosophy that’ll help you achieve your full potential in work, relationships, finance, and all other walks of life. 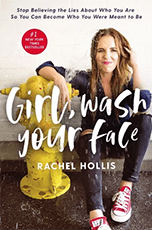 In Girl Wash Your Face, Rachel Hollis describes 20 lies that often hold us back from living, joyfully and even productively. Many of these misconceptions are so ingrained in our “story” that we can’t even see them for what they are, falsities that are holding us back from living confident, joyful and authentic lives. In this 6 week session we will examine these falsehoods and implement strategies that Hollis presents in order to move past them, to live with grace and minimize those feelings of overwhelm and unworthiness that we’re all too familiar with. 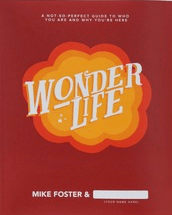 Wonderlife: Discovering the joy of who you are and why you’re here. Join us for an 8-session, small group “masterclass” experience to help you discover and understand who you are and why you’re here. With the help of the creative guide, Wonderlife, we’ll dive into these questions and uncover what’s truly holding us back in life. This Intensive Workshop will provide the tools you need to reveal your purpose in life and help activate it in a tangible way. The eight weeks will be divided into four guiding principles, or as Wonderlife calls them, “lifemarks”, that will equip you to live a life of meaning and purpose. Get ready to draw, journal, shed a tear or two (that’s how we grow) and smile! This workshop includes discussion, discovery exercises and work to bring to the table. This group is for women who are ready to go deep, and take things to another level through the supportive guidance of an experienced coach (Katie), a magical text (Wonderlife) and the supportive energy of like-minded women who are ready to be vulnerable and grow. As painful as life can be sometimes, we must crack ourselves open to allow the light in… to grow, heal and evolve. If you know there’s more “in there” that you haven’t tapped into, if you know you want more for your life, this is a great place to start. Aaron William Perry is a writer, public speaker, impact entrepreneur, consultant, and father. 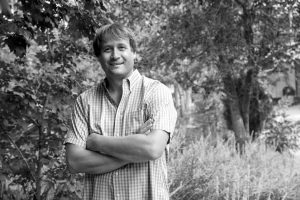 He is the author of Y on Earth: Get Smarter, Feel Better, Heal the Planet and dedicates his life and work to the improvement of the environment, specifically, through soil microbiome. At this workshop, Aaron will teach you the importance of probiotic foods, “gut health” and the microbiome… and how to make your own ferments inexpensively at home! Includes presentation, supplies, probiotic, healthy snacks and take home your own sauerkraut! Feel free to bring your own adult (fermented or not) beverage. Limited spots remain for the call! Join Katie for a 31 day break from whatever isn’t serving you right now, with the accountability of a group and the expertise of a coach. “Stobtober” began in the UK as a stop-smoking challenge but Katie sees this as a perfect opportunity for you to make it your own! Whether you’d like to step away from alcohol, coffee, sugar, shopping, social media, or anything that feels like it’s getting in the way of your greatness. Acknowledging this and making the choice to simply get curious about it during the month of October is a huge form of self-care! 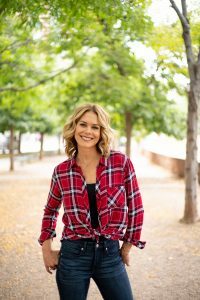 You’ll receive daily inspiration from Katie and access to her in the group, weekly check-ins, resources, and teaching points throughout the month, as well as the accountability of your fellow participants. Accountability groups are powerful and I see tons of growth come from them, as well as new friendships and community. You can read more about Katie’s recent journey into an alcohol-free lifestyle after she got curious and stepped away from drinking last summer here. All this for only $1 a day! This could quite possibly be the best investment you ever make for yourself! Read more about Stoptober here or just grab your spot and watch for your welcome! I know you’re wondering so I’m going ahead and tell you… you can absolutely do this! New York Times Best-Selling Author, one of Time Magazine’s 100 Most Influential People and forward-thinking pastor and founder of the Mars Hill Bible Church, Rob Bell is no stranger to controversy. Putting a modern spin on the ancient building blocks of Christianity can ruffle a few feathers, yet his surprisingly fresh take on old-fashioned worship has been adopted and endorsed by millions of Christians throughout the world. 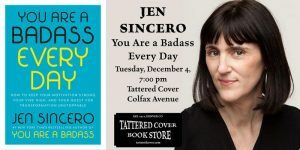 In one hundred exercises, reflections, and cues that you can use to immediately realign your mind and keep your focus unwavering, this guide will show you how to keep the breakthroughs catalyzed by Sincero’s iconic books You Are a Badass (a Beyond Book Club favorite!) and You Are a Badass at Making Money going. 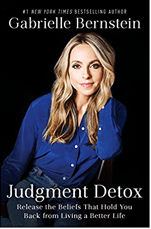 This book is the accountability buddy you can keep in your back pocket to power through obstacles, overcome the doubts that hold you back from greatness, and keep the fires of determination roaring while you reach your goals. We will meet up nearby (location TBD) ahead of time for food, drink and mingling! Make sure you’re on the Beyond Book Club mailing list to be notified of details or check back on this page! In this 6 week small-group “intensive” you will receive focused coaching from Katie, accountability and support from your group members as you deep-dive into what you’re struggling with and/or what’s holding you back. In addition, you receive a more intimate setting for deeper conversation around our book, your well-being, and life in general. Self-care will be an actionable priority and not just a phrase we toss around. #notjustahashtag. This is an ideal way to experience coaching at a fraction of the cost while continuing the BBC experience you’ve come to love. Find comfort in a much smaller group with laser-focused attention on YOU. And yes, you deserve this. 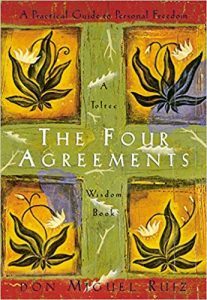 This is for you if you’re ready to up-level, dive-deeper and grow both personally and inter-personally. If you’re ready to get real, prioritize yourself and commit to some real changes heading in to summer. Coaching value: $1125. Your investment: $250. Don’t miss it next time around! Get on the list for upcoming announcements! Virtual sessions can take place wherever you are through our online video conference. Allison will lead the group with questions and discussion from her home base in California. We will likely meet for dinner/drinks before the event. Please join the FB group for more info. Welcome! Beyond Book Club sessions typically take place during the week and last 1-2 hours depending on the format. Sessions are kept intimate, (limited seats), so that connections and conversation can become deeper and more meaningful. Healthy discussion of differing opinions and viewpoints are always welcome. Accountability for self-care. We all say we’ll do it but we rarely make/take this crucial time for ourselves. An hour or so out of your week to truly unplug, relax, enjoy a cup of really good coffee, camaraderie and intriguing conversation. Community and fellowship of like-minded and supportive women. Personal and Spiritual development and growth. Social events and activities outside of Book Club. Access to Katie as a leader/coach/mentor! General sessions are $70 for a 6 week in-person session, viritual sessions ar $60 and the BBC Intensive is $250. Locations, times and books/subjects vary with each session and usually sell out. Register quickly and sign up for notifications. We read the one book over the course of 6 weeks so weekly reading assignments are easy and doable. Sign ups are per session only: join the books/groups you’re interested in, opt out of the ones you’re not. Never any commitment beyond your current session. Investment is paid up front. Ready to go “beyond” your regular book club? Get on the list for my upcoming session! Spaces are limited, so join now!